Harry Potter Book Night is coming back for 2019 with the theme Hogwarts School of Witchcraft and Wizardry! You might remember Harry Potter Book Night that we were a huge part of this year! That’s a huge event where schools, book shops and places all across the country celebrate all things Harry Potter! 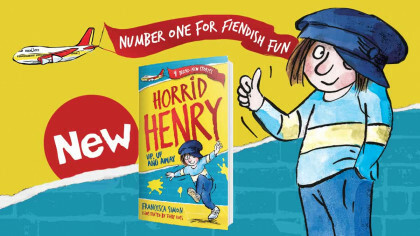 Well, the people who publish the books have said that Harry Potter Book Night is coming back for 2019 and the theme is Hogwarts School of Witchcraft and Wizardry! 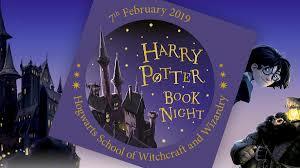 So, make a date in your diary as Harry Potter Book Night returns for a fifth year on Thursday 7th February 2019. So Bloomsbury will put this amazing school and all the exciting adventures that have happened within its walls at the very heart of Harry Potter Book Night 2019. There have now been over 35,000 events organised since Harry Potter Book Night began in 2015 with over 13,000 organised in 2018 alone! Sign up at harrypotterbooknight.com to register for an event kit and to make sure you’re one of the first to hear all the latest Harry Potter Book Night news!